If you are in search of a new chair for your dining room, one of the chairs that you might consider is the Mad Hatter Dining Chair. 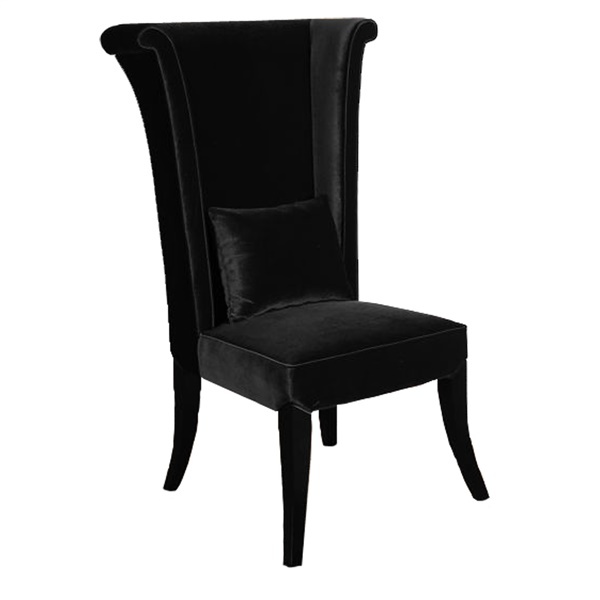 This regal chair comes from Armen Living and can be used in your living or dining room. In a variety of colors, this beautiful chair has a whimsical design that is fun and elegant at the same time. Upholstered using soft and gorgeous velvet, this durable char is a beautiful choice for an eclectic living space. Unique whimsical design for the eclectic aesthetic. Expertly upholstered in lush velvet. Quality construction of durable materials.